Nurse Uniform – For Hospitals in Chennai !! 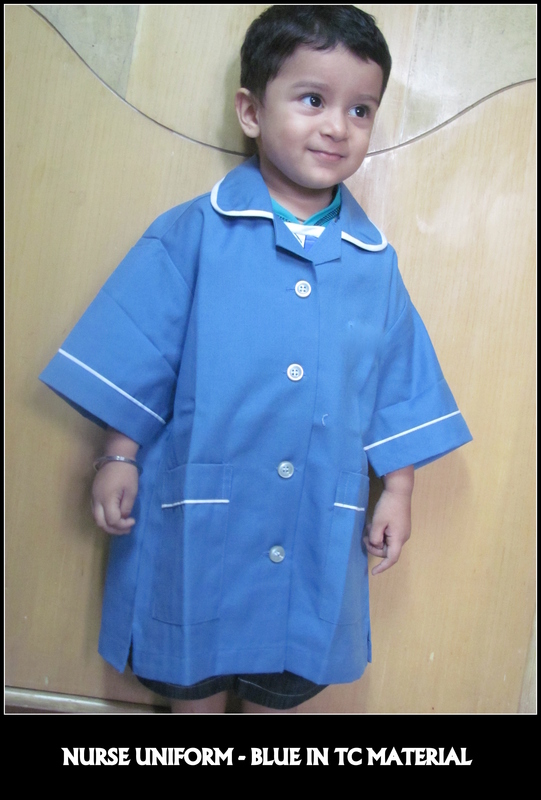 Check my baby Rain Jain wearing the sample nurse uniform made for VS Hospital in Chennai. The material used for this Nurse Uniform is Oswal Terry Cotton Fabric made by RSM Uniforms. The color sky blue was chosen by the hospital staffs as it not only looks bright but also looks stain free. Generally, only standard sizes of the Nurse Uniform is supplied but in rare cases like for VS Hospital every Nurse’s measurement is individually taken.The letter VSH is embroidered on the chest using Barudan embroidery machine and the durability of the uniforms lasts atleast for an year if maintained and washed properly.